It’s that time of the year again — the glory days of summer are behind us, and it’s time to hunker down and get into the new groove. Say goodbye to birds and buzz, and hello to slush, ice and poor driving conditions. 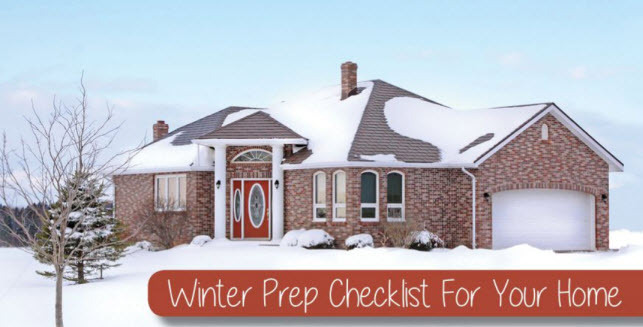 But with the season change comes a new challenge: getting your home ready for the winter. You might have already looked at the more immediate tasks: changing your furnace filter, checking your door insulation and glancing at the roof to make sure it’s not going to leak on you for the next five months. However, proper winter preparation involves more than just sealing the innards of a house against cold drafts — it involves protecting the exterior as well. Home owners often find themselves with a water mess in the spring that could be easily prevented this time of year. Hose bibs left connected to a hose during the winter cause drama in the spring. The valve freezes up, the ice ruptures the plumbing inside the wall and then disaster awaits. If you turn on the hose, water flows inside the home. Sometimes it causes a massive flood, and sometimes the water is just enough to feed a termite colony. Not to worry though, the mold growing around the termites will kill them. And the rot? It will get them both when the house collapses. Or — you could avoid rot, mold and termites by disconnecting the hose. On a similar note, you could make sure your hose bib is freeze resistant and that it is installed flush to your home’s exterior wall. Some of us remember the days when we had to drag a hose to water the lawn. It was a water wasteful practice that burned a ton of time. The advantage? We knew when we were spraying the house, and we could see when we were filling the window wells with water. Sprinkler systems are awesome, but only when they do what they should. When things are wrong? Welcome back to the land of rot, mold and termites. Ideally, your sprinkler lines will be placed at least a foot below the surface. If so, that’s great — less risk for you. If you are one of the less fortunate among us, your lines will be just below grass level. When that happens every little swale creates a trap where water will pond. That pond will freeze and turn your sprinkler pipes into house flooding havoc.